If someone said I had to pick only one item of makeup to wear I, like many other people I think, would pick mascara every time. Even with a whole face of makeup applied it's not until that final slick of mascara that everything really comes together. It has an instantly awakening and lifting effect. I've come to realise that you can't necessarily find the holy grail one mascara that you love above all others. Resulting in me having lots of different ones that I like for different reasons. 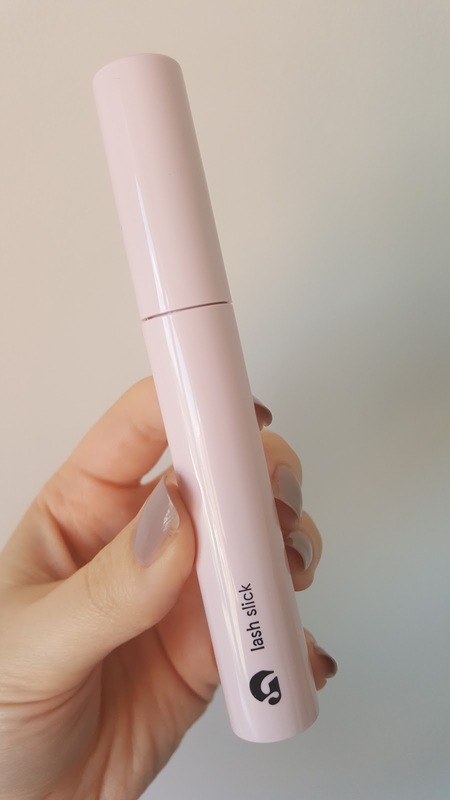 I first heard about Glossier Lash Slick when Jane of British Beauty Blogger did a review which you can read HERE. It sounded like the ideal mascara for a low maintenance, no makeup makeup day. When she said it was a tubing mascara I knew I had to try it. The worst thing for me about mascara is trying to get it off at the end of the day without waking up the next morning with the dreaded panda eyes. Instead of coating the lashes in pigment like a traditional mascara, tubing mascaras form a polymer tube around each individual lash. This means that they don't flake or smudge and, best of all, can be removed with just warm water and a flannel. 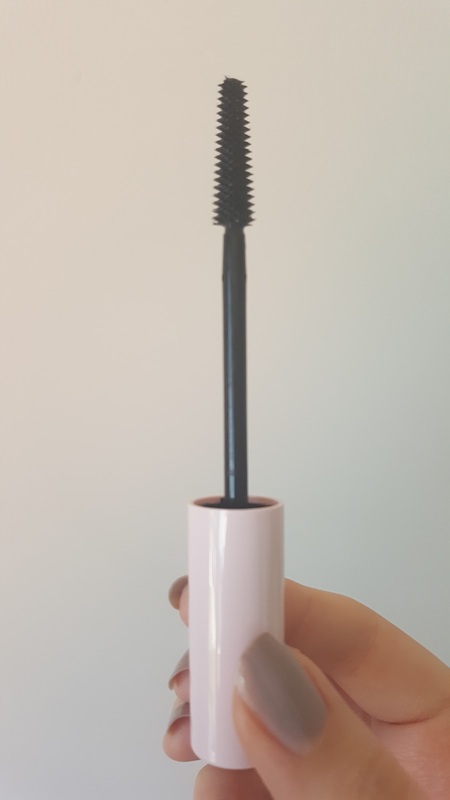 Now if you're someone who likes a very dramatic, volumising and 'clumpy' mascara then Glossier Lash Slick probably isn't for you. This brings me back to my earlier point about liking lots of different mascaras as that's the kind of formula I generally use during the week or on an evening out. Due to how tubing mascaras work they are better at defining and lengthening every lash. Glossier Lash Slick is no exception and has those qualities in spades. I found it very easy to build up with no clumping or sticking the lashes together and two coats gave a lovely fluttery look. As you can see in the picture above the brush isn't too big so it's really easy to get to every single lash even those on the bottom. I can wear it for a whole day with no flaking or smudging and it doesn't even feel like I'm wearing mascara. My lashes remain soft and flexible rather than feeling all dry and brittle. It's actually pretty difficult to take a close-up picture of your own eyes but hopefully you can see the difference between the side with the mascara applied (left) and the side without. Glossier are known for their fresh-faced, pared back take on beauty and this mascara is a perfect addition to the range. A light base, some Glossier Boy Brow and a coating of Glossier Lash Slick has become my go-to for a lazy weekend. At the end of the day all it takes is a little bit of warm water and it glides off like magic. At the time of writing Glossier Lash Slick Mascara is £14 HERE.